Account-Based Marketing is exploding! In 2018, B2B marketers are eager to learn the ‘how’ of ABM from real people who are practicing it every day. 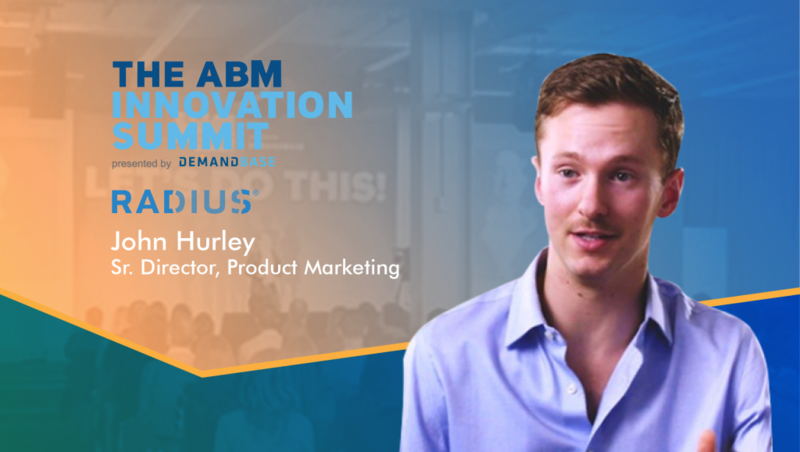 Connecting these real people to B2B marketers, Demandbase’s ABM Innovation Summit 2018 is focused on bringing the real-life ABM examples from thought leaders and hands-on practitioners. In this TechByte, we spoke to the seasoned ABM practitioner at Radius Intelligence, John Hurley. My role is to help define a new category of enterprise software. 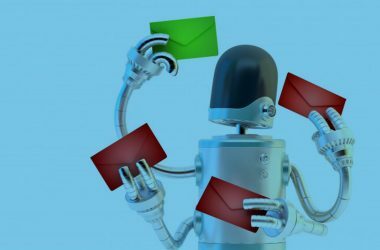 There has long been a major gap in marketing automation and CRM that requires a new backbone technology that delivers more accurate, integrated data and deeper audience intelligence to revenue teams. My job is to act as the voice of the customer and the market, and to syndicate that voice internally in our product development and sales enablement, and externally through thought leadership, go-to-market strategies, and integrated campaigns. I’ve been fortunate enough to see this market form over my six years at Radius. As a lifelong marketer, I knew that the powerful data sets that were forming could form the tools for a new generation of data-driven marketers. What is the biggest driver for you to attend the ABM Innovation Summit 2018? What sessions are you most interested in attending? 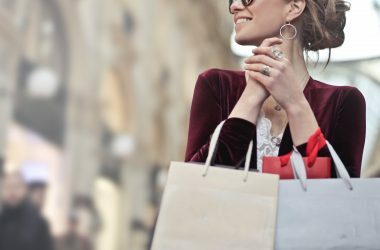 How can we arrive at the best target account list? What data do we need to effectively scale ABM? How do we use data, intelligence, and integrations to create an omnichannel experience that accelerates the enterprise deal? Billy Jean King is such an inspirational figure for women and all pioneers. Finding success in ABM is going to take pioneers–people willing to work hard and take risks–so finding that inspiration is going to be key. Steven Casey from Forrester is also one of the top experts on how to use technology to progress the ABM mission. 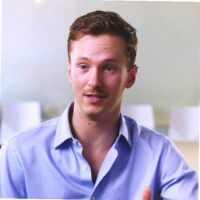 He gets a really unique, dual-sided, and unbiased point of view from the market in engagements from both the vendors and the users. How can Product Marketing teams truly benefit from attending the ABM Innovation Summit 2018? Account-based marketing is reshaping go-to-market strategy for B2B teams. We’re moving from personas to buying groups. Sharpening the focus on the definition of the ideal customer profile. Evolving thought leadership into hyper-personalized content. Adopting new channels to engage B2B buyers in their B2C channels. All of these go-to-market motions are fundamental to the role of product marketing. Aligning the product marketing playbooks to the specific revenue operations of an account-based approach will be critical to the success of ABM as a whole. What are your predictions on the state of B2B Data and Analytics platforms in 2018-2022? The Harvard Business Review recently found that the three top challenges experienced by B2B go-to-market leaders in growing revenue were data silos, inaccurate data, and lack of data analytics resources. Companies with advanced data strategies are not just surpassing others, they’re exponentially better at achieving their top goal – more revenue. Yet too few companies are advanced, which is why investing in data and intelligence is their #1 priority for reaching their goals. It’s clear company leaders recognize the opportunity and what they need to do. They can no longer ignore the importance of having reliable data and a smart data strategy. For the next 2-3 years, these challenges will continue to be the primary roadblocks for a majority of organizations. A primary reason for this will be organization will be unable to manage the many emerging technology vendors required to solve these challenges. Consolidation and further innovation in the data, martech, and adtech industries are inevitable and necessary. We will see a tech buying spree from large platforms, as well as strategic partnerships and mergers across leading players, to create end-to-end solutions that can be adopted by the masses. Second, network-effects will take hold of B2B data to finally solve the data quality crisis that’s stalling progress in AI, omnichannel marketing, and data management. The most disruptive platforms (Facebook, Amazon, Uber, Google) are not technology companies, they’re data companies, and network-effect driven data sets are the foundation for their defensible positions. A few companies will create this advantage in B2B data and pass along the benefits to their customer base. By 2022, a new data intelligence cloud will be fully adopted by most modern enterprises. It will surpass marketing automation in market size and importance and become only secondary to CRM as the most important technology in go-to-market operations. What are the major challenges to better manage Data Orchestration for accurate audience segmentation? How do you achieve this segmentation at Radius? Knowing what to do with the data available. “Getting insights out of the data.” This phrase has become a cliché, and I actually believe it’s becoming less and less true. Many organizations have a treasure trove of insights, but their ability to mobilize those insights is the primary barrier. First, revenue teams must be able to abstract the meaning from the insights–be able to answer what a data point on your customers can actually tell you about their motivations, behaviors, and likelihood to buy. Those that graduate from basic manual firmographic segmentation to segmentation that incorporates real intelligence like first and third-party behavioral data (aka intent), technographics, contact coverage, and reach will stand out amongst their competition. Second, great insights are academic if you can’t reach buyers. Sourcing and managing accurate data in your engagement channels is an ongoing battle. And increasingly, having the required data that allows you to pursue actual people, not just their businesses, in digital channels is a gap in almost all organizations. Data orchestration will be vital for people-based marketing in B2B. At Radius, providing real intelligence on real buyers has always been a strength of our platform. Our customer success teams and idea sharing from successful customers is the second ingredient that tells us and the rest of our customers what to do with that platform. Thanks for chatting with us, John.